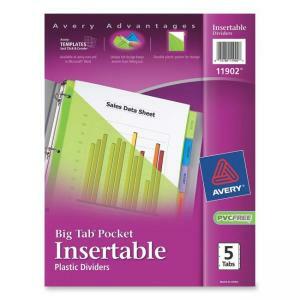 Durable plastic dividers with a pocket are ideal for frequently referenced documents. Print the included inserts using an inkjet or laser printer. Big tabs and inserts provide 50 percent more printing space for tab titles than traditional insertable tab dividers. 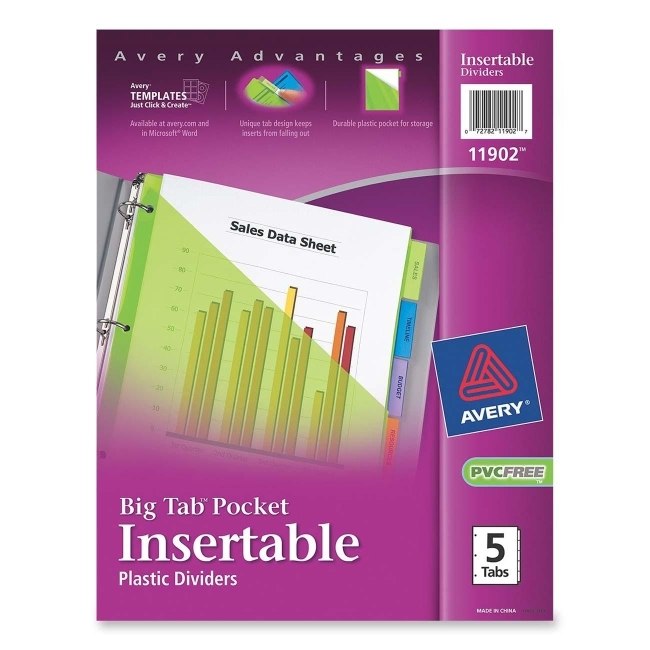 Tab design secures inserts and allows easy access to insert and remove tab dividers. Dividers are three-hole punched for use in binders. Avery offers many easy-to-use templates for Microsoft Word and other popular software programs.